As is the case every year, leaks for Samsung’s Galaxy ‘S’ flagships have picked up the pace as we head towards their launch. This year the Korean tech giant will launch the S lineup’s upgrades in San Francisco, as it looks to provide Apple with some competition in the ultra high-end smartphone segment. To that end, the Galaxy S10 smartphones will feature upgrades that will distinguish them from their predecessors. If you’re wondering how the smartphones will look like, we’ve got just the image for you. Take a look below for more details. Just in case you weren’t paying attention, Samsung showcased a 5G smartphone prototype at Qualcomm’s Tech Summit which took place in Hawaii this December. 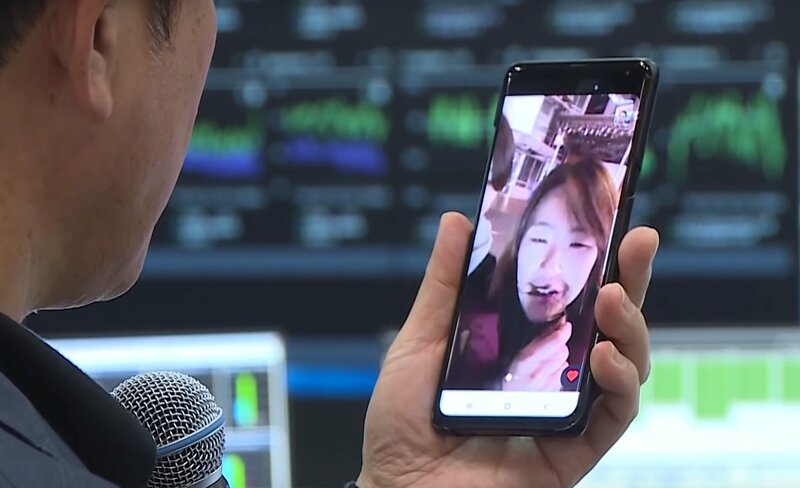 Prior to the summit, this prototype also made an appearance in South Korea, when Samsung showcased 5G video calls in an event. However, that smartphone appeared as an early stage prototype, as evidenced by its design. 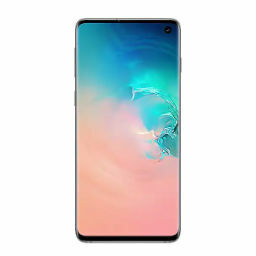 Nevertheless, the gadget featured a front camera located at the top right, an aesthetic that will define the Galaxy S10 smartphones. Now, we’ve discovered another live image of a Samsung 5G prototype, and this device might very well be the Galaxy S10. 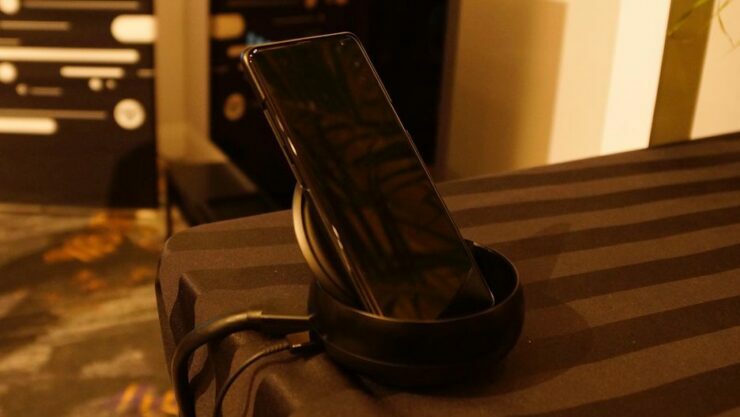 The first image above is what we believe to be a Galaxy S10 prototype that Samsung displayed at Qualcomm’s Tech Summit (Courtesy: CNET). The second image is of the device showcased by the company in South Korea as a part of its 5G event. Take a close look at both images and you’ll notice that a camera sensor is clearly present on the top right. Additionally, the device in CNET’s image matches our estimation of the upcoming Galaxy S10 smartphones’ form factor. If you’re still unsure, here’s a live image of the Galaxy S10 taking a ride on a South Korean subway. Unfortunately, as reporters were not allowed to touch the phone or turn it on, and as it was displayed in a dimly lit room, we can’t discern any further details from the image. However, live image leaks for the Galaxy S10 lineup haven’t disappointed this season. Let’s just hope the smartphones’ ultrasonic sensor doesn’t develop problems, as this would mar an otherwise stellar lineup. Take a look at the leaks and let us know what you think in the comments section below. We’ll keep you updated on the latest.